From Hot Wheels to Pixar’sCarsmovies, kids love cars! Whether they’re happy to push a toy truck around the carpet or are on their way to being professional race car drivers, there’s plenty of fun to be had with cars! To encourage their fun and add some teachable moments to playtime, we’ve created some fun printables and activities you can do with your children! 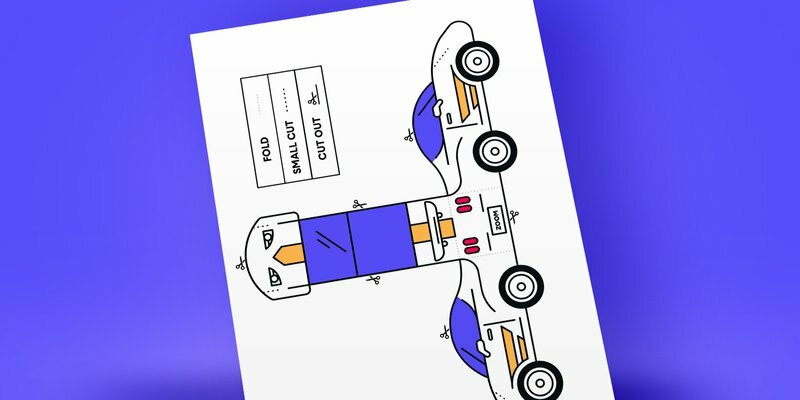 These will help them learn the rules of the road and how to be safe in and around cars. Ready to have some fun? 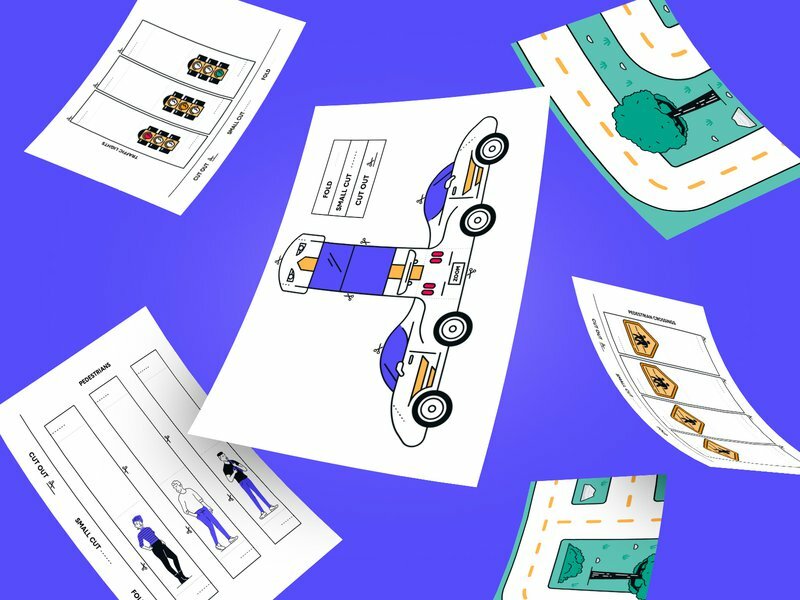 We’ve created a simple 3D car foldable, a printable road map and road features to help you and your kiddos practice the rules of the road! Download the printable and print it out on plain paper or heavier cardstock for durability. Cut the car out along the solid lines. Create small incisions along the dashed lines. (Note: don’t cut all the way across the car, just until the dashed line ends). Fold along the dotted lines. Insert the small incisions perpendicularly into one another until the valleys of each incision meet. If needed, use tape to secure your 3D car. Download the four pages of the map printable and print them out. Piece the map together like a puzzle, connecting the roadways. Tape together your map using clear scotch tape. Download and print the road features page. Cut out each road feature along the solid lines. Add the features to the map as you discuss them, using tape to secure. Now that you have a road map and car, work through these activities with your little one. They’ll learn things like how to recognize basic road signs and how to safely cross the street. You can keep practicing these rules when you’re out and about, too! While driving them to school, point out the stop signs and crosswalks you see along the way and talk about what they mean. Place a red stop sign on the map. 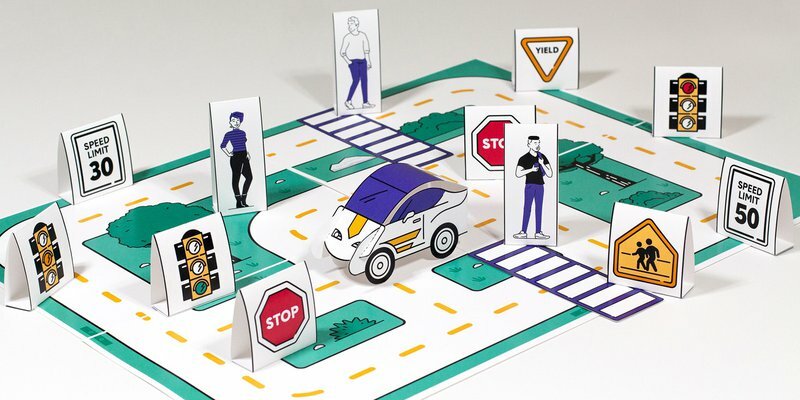 Drive the 3D car up to the stop sign on the map with your kid’s help. Stop the car at the sign and explain the rules of a stop sign. Be sure to talk about what the color red means for stop signs! Once you’ve talked about stop signs, have your little one drive their car around the map and stop their car at each stop sign they come across. Colors are a very important part of driving! Talk with your kiddos about the three main colors — red, yellow and green — and their meanings! Green means go, yellow means slow and red means stop! This is a great way to practice identifying colors with younger kids and toddlers. Use the three printable traffic lights to practice when to stop and go on the map. For more practice (and fun), try playing the Red Light/Green Light Game with your kids! Head to a spot with some space like your backyard and stand 10 to 15 feet away from the kiddos. You’ll be the traffic light and your kids will be the cars! Every time you say “green light,” the kiddos can run towards you! When you say “yellow light,” they should slow down and walk. When you say “red light,” they have to freeze! 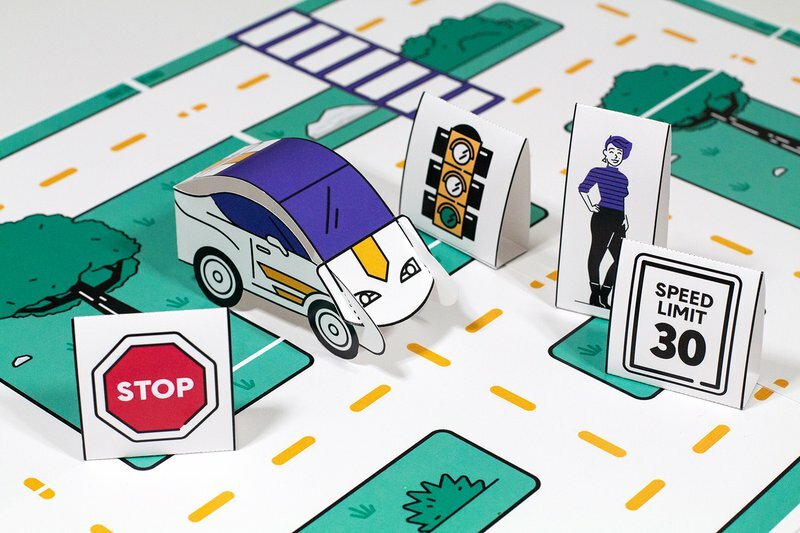 Place a printable crosswalk on the map and add a printable person to the crosswalk. 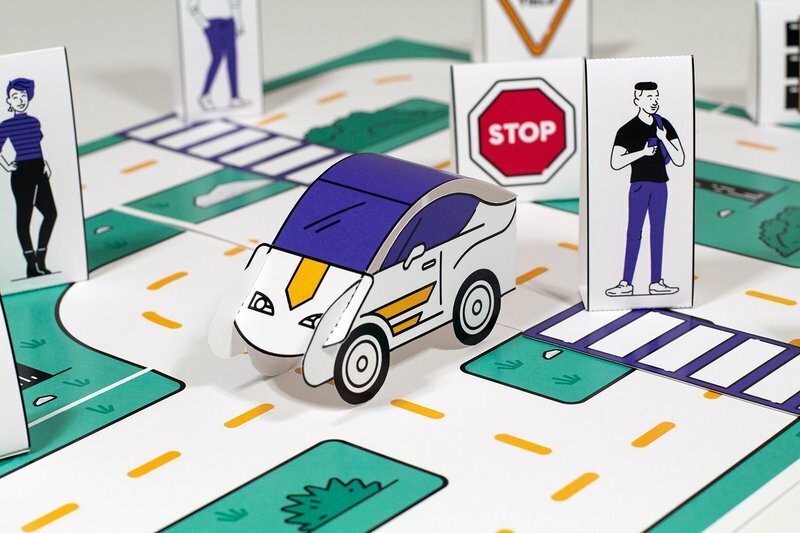 With your kid, drive the 3D car up to the crosswalk and stop. Explain what crosswalks are for, noting that they are the safest place to cross a street. Talk about other important safety rules for crosswalks, like looking both ways before stepping into the road. Be sure to note that when you’re driving, you should always look for people using the crosswalk before driving through! Have your kiddo continue to drive around, stopping to check for people at crosswalks before driving through. Your kids should also learn about speed limits! 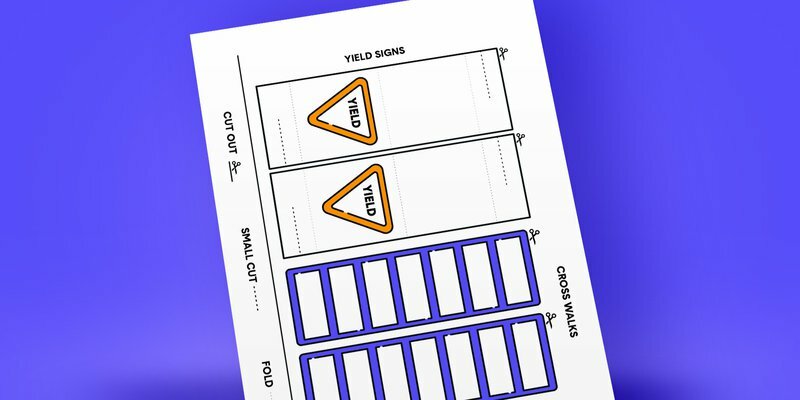 Use the printable speed limit signs to talk with your youngsters about the importance of driving slowly in certain areas, like neighborhoods, and around schools. Have them drive faster or slower on the map depending on the speed limit! When you’re out and about with your little one, point out different speed signs to them and explain why they are faster or slower depending on where you are! You probably drive on the right-hand side of the road, so help your kids practice their directions by learning about which side of the road to drive on! 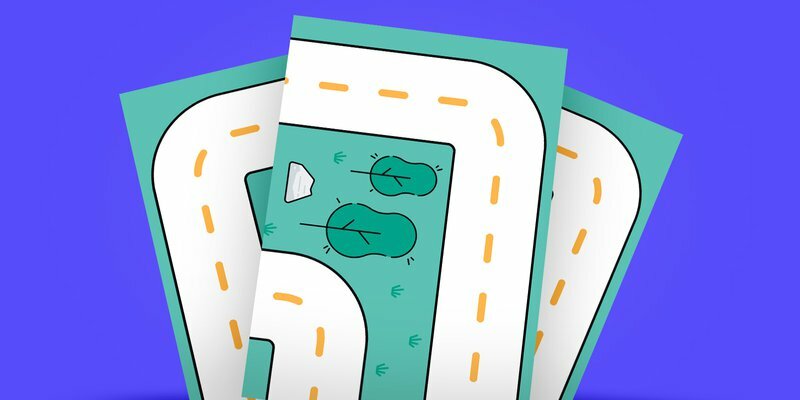 Use the printable map to show your kids where they should drive –– the right side is always right! For younger kids, it may be helpful to hold up your hands in the shape of an ‘L’ to figure out which way is right! When it comes to cars and kids, there’s nothing more important than safety. We hope these games and activities are tons of fun for your child (and you!) and help them learn the rules of the road. Whether you’re driving with your kiddos or on your own, keep yourself safe by practicing defensive driving habits, maintaining your vehicle and keeping it up-to-date on insurance.